Realty Commander is lead-to-close transaction management software. It excels in connecting all contact points of a deal with all stakeholders. Its electronic offer-to-purchase form is smart and efficient. 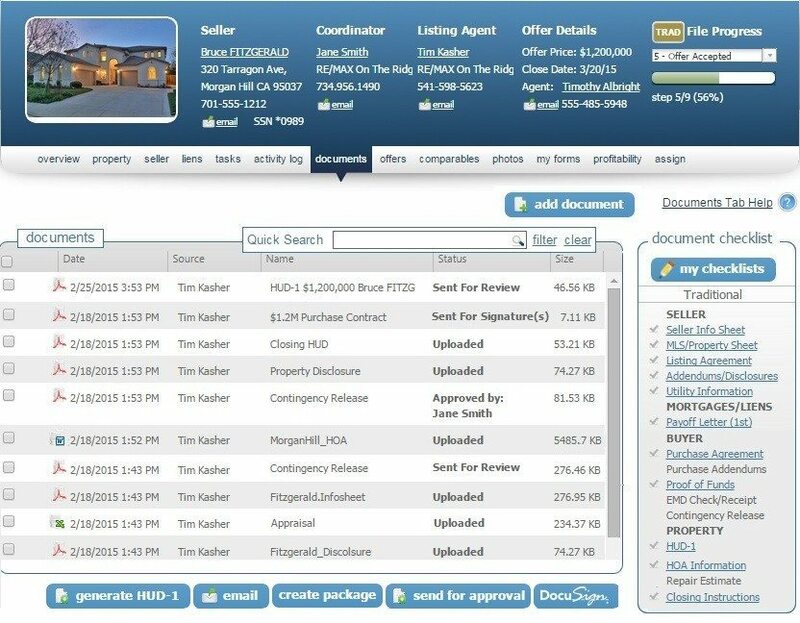 Realty Commander is browser-based and mobile-ready transaction management software. Type of software: Transaction management. Platform: Web-based, browser-agnostic; mobile for any device. Ideal for: Agencies and teams needing a detailed solution of managing transaction activity. All in: Realty Commander does a good job of keeping every aspect of a transaction within the walls of the software; everything is where it needs to be. Always learning: The software provides an ongoing series of training videos and tips within its dashboard. Offer up: Software’s electronic offer submission form is great example of how electronic forms can streamline real estate processes (expected to be available early fall). 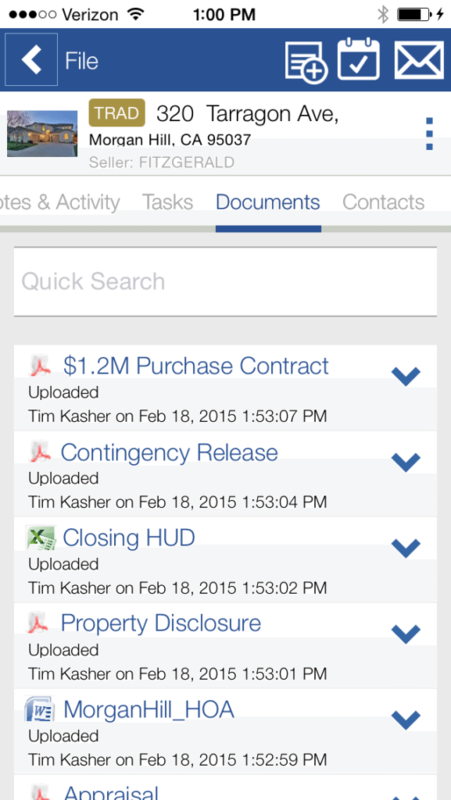 Realty Commander’s only real drawback, its user interface, is in the process of being reworked. I’ve seen the new one, and it’s very well-done. Nevertheless, its current state in no way takes away from the functionality of this proven and powerful way to oversee every aspect of your office’s deal flow. What stood out to me is the electronic offer submission form, to be fully rolled out by early fall. Agents using clunky third-party solutions to assemble offers will enjoy crafting quick, comprehensive offers straight from Realty Commander. A formal offer can be generated, reviewed and submitted in a couple of minutes. Like every other document, note, task, comment and contact associated with a transaction, the offer’s lifespan is tracked diligently by its parent system. What stood out to me is Realty Commander’s electronic offer submission form. There’s nothing missing from Realty Commander. Leads and listings are easily accessed and updated, serving as an intuitive point for drilling down into the nuance of a deal. 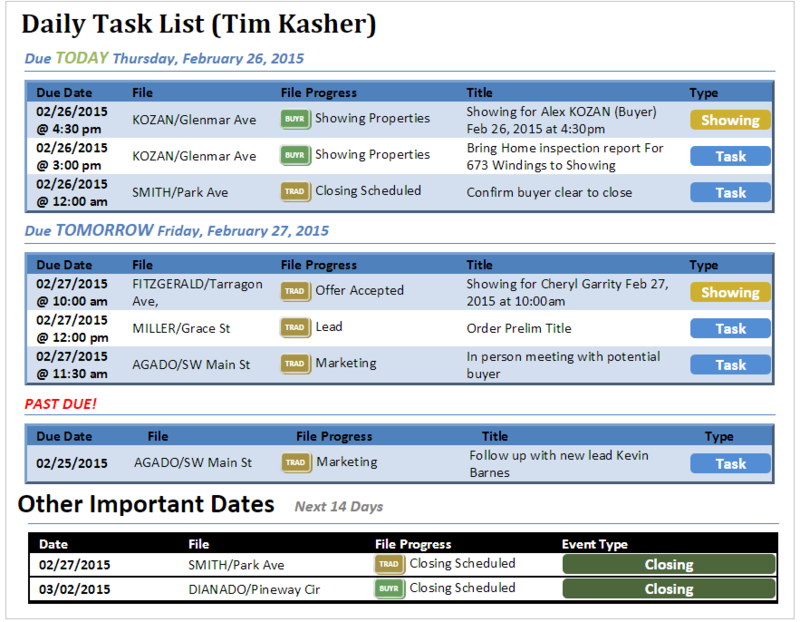 Tasks are displayed according to a user’s role in the transaction, which is easily set up when a new one is entered. Once an email is sent from Realty Commander to outside parties, the thread will remain a part of the transaction’s history, even as new messages are created outside the system. 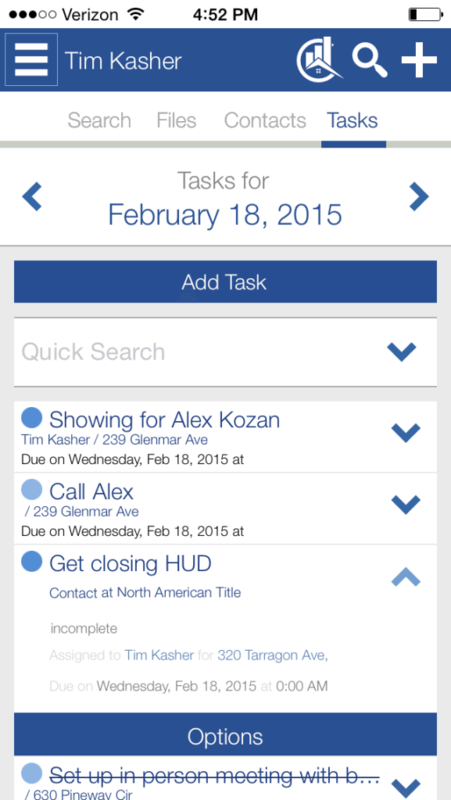 Agents will also benefit from the way Realty Commander allows guests access for clients. Instead of worrying about when to call or email about progress, sellers can view each step along the way and, based on permission level, also be assigned tasks to complete. Agents should focus first on business management, then worry about contact management. In Realty Commander, both brokers and agents will find a solution in which every page can solve a problem related to a sale. When is the inspection? Who scheduled the open house? Can I see a picture of the foundation damage? I was quite surprised to see such a comprehensive solution so well-encapsulated in the mobile environment. You won’t lose a step when you leave the laptop behind and use the Realty Commander app. There are some ancillary features that don’t garner daily access but do add value, like the HUD-1 generator for an insightful view into how the deal will finalize, and the Profitability module, which details income and expenses per deal and per office. Realty Commander is a quick rollout and rests accountability for learning the system on users through its collection of video tutorials. Each lesson boldly lets you know how long it is so you can grab a quick six-minute lesson before the meeting starts, then spend another 15 before you call it a day. It’s a smart way to streamline adoption. Realty Commander leaves no transaction point unturned. It pulls it all together and keeps things organized. Anyone new to a deal could step in and understand its status in moments. That’s what makes good software. Do you use Realty Commander — and what do you think? Leave a comment and let us know!